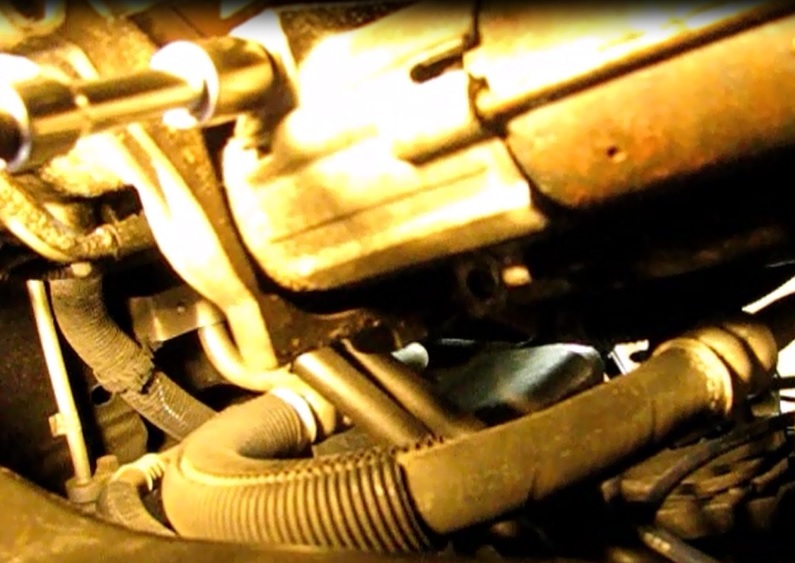 This post provides useful step-by-step instructions on replacing the starter on many 3.1L or 3.4L GM vehicles made from 1998-2005. This is not a difficult job for the home mechanic. These engines are found on GM models such as the Chevrolet Lumina, Malibu, Venture and Monte Carlo; the Pontiac Grand Am, Grand Prix, Montana, Transport and Aztek; the Buick Century and Rendezvous; and the Oldsmobile Alero and Silhouette. Tools: 8mm wrench or socket for battery, ramps or jack stands, 8, 10, 13 and 15mm socket or wrench for the starter. 1) Jack the car up and rest on jack stands or ramps. 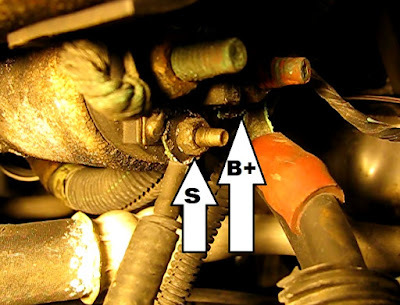 2) Disconnect the battery negative with an 8mm wrench or socket and ratchet. 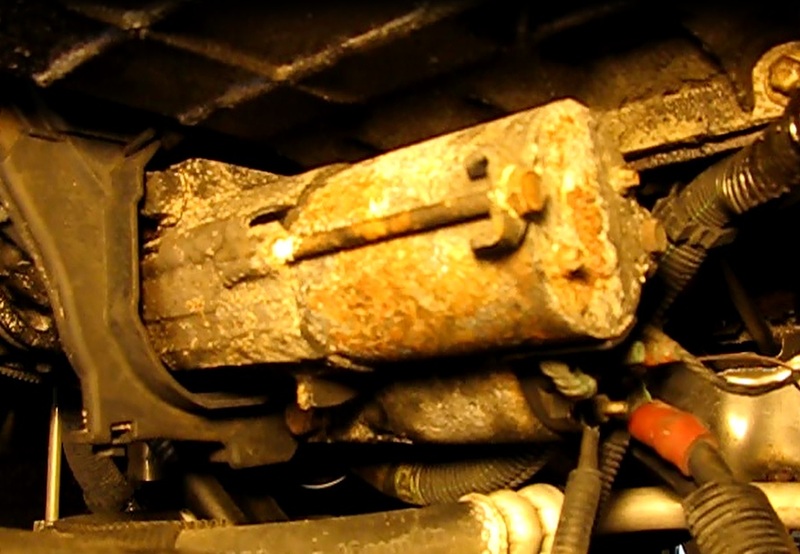 3) Crawl under and locate the starter just under the radiator side of the engine, near the oil filter. 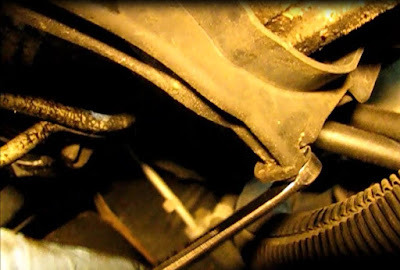 4) Unwire the starter. Unbolt the solenoid wire with an 8mm socket and the larger battery plus terminal with a 13mm socket. 5) Remove the plastic dust cover for the flywheel. This needs to come out. It's in the way of one of the two starter mounting bolts. 6) Remove the two 15mm starter mounting bolts. Hang onto the starter as you turn out the lower bolt last. 7) Lower the starter from the vehicle. 1) Install the lower 15mm mounting bolt while holding the starter in position. 2) Install the upper 15mm mounting bolt. Torque both bolts evenly. Measuring torque is not critical on a starter. Snug 'em up good. 3) Install the flywheel dust cover with the 10mm bolt. 4) Wire up the starter. First the 13mm B+ terminal and then the 8mm solenoid wire. Be careful not to over-torque the nuts. 7) Lower the vehicle. You're done. That was pretty easy as starters go!